At 2,504m high, the Grossglockner High Alpine Road leads up the highest mountain in Austria, and was the first graded road in the Alps. Originally built to create jobs after the First World War, the 36 hairpins snake their way up the Grossglockner mountain, standing at 3,798m above sea level. Morning flight into Munich or Salzburg airport, before transferring to our hotel just outside Salzburg. Once at the hotel, you will have a chance to build your bikes and meet the pie crew, before a spot of lunch and warm up loop amongst the local lakes and hills. That night celebrate your arrival with a wonderful meal at the hotel, followed by a full pie briefing on the event and introduction to the crew. Depending on the size of your group, we offer three route choices for today as we travel out of Salzburg and towards Altenmarkt. The first half of the day is spent descending, before the climbing begins after lunch. 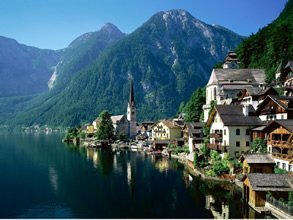 We will stop off at Hallstatt en route – a UNESCO heritage site famous for its salt mining and picturesque location. In fact, the town is so beautiful it has been replicated in the southern Chinese province of Guandong! Another highlight of the day is travelling through the town of Bad Ischl – famous for being the location of the summer Royal Residence and a spa town. Today is the biggest day of the trip, featuring the highest mountain in Austria – the Grossglockner. Topping out at just over 2500m, this section alone increases our daily ascent by over 1,800m. For those who don’t quite fancy tackling this monster, we provide an alternative (flatter!) route that will get you into the hotel in plenty of time to sample the numerous pools and massage rooms the hotel has to offer – they quite simply have to be seen to be believed! Today is our last day in the saddle, as we make our way back in to Salzburg. You’ll find it hard to drag yourself away from the comfort of the hotel, however our guides will soon have you blasting along the roads through beautiful forests during a day spent mostly cycling downhill. 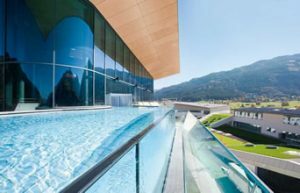 We arrive at the hotel in the afternoon, and you will have a chance for one final trip to the spa, before a fantastic celebration and opportunity to toast your achievements over the past few days. You have the morning at your leisure, before transferring to the airport for your flight home.